Gracing the catalogue cover of Whyte’s Irish & International Art auction in Dublin on October 1 is this work by Séan Keating (1889-1977). ‘Thinking out Gobnet, Portrait of Harry Clarke’ by Séan Keating, estimated at €50,000-70,000 at Whyte’s of Dublin. Thinking out Gobnet, Portrait of Harry Clarke, a 2ft 6in (76cm) square oil on canvas from 1917, is guided at €50,000-70,000. Keating gifted the work to his friend, the stained-glass artist Clarke, who loaned it back to him in 1918 for submission to the RHA, where Keating was elected later that year. 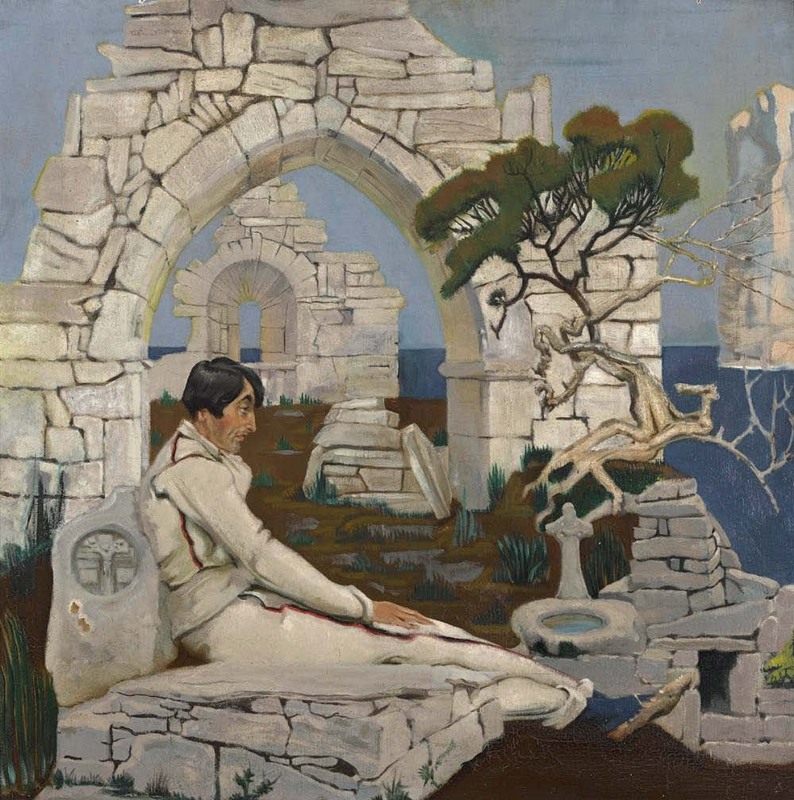 The painting shows Clarke sitting on a grave slab within the ruins of Teampall Chaomháin (St Kevin’s church) on Inis Oírr – a reference to the artists’ time together on the island of Aran in 1915.